Improving the Quality of Life for Individuals with Special Needs for 46 years. The Mane Stream mission is to improve the quality of life for individuals with physical, developmental, emotional and medical challenges through a diverse program of equine assisted activities, therapy services and educational initiatives. 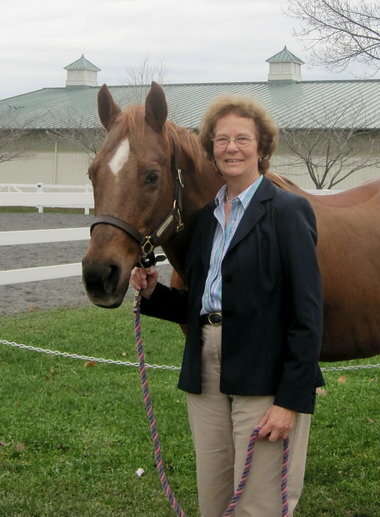 In 1972 Mane Stream was founded by Octavia Brown on her Bedminster, New Jersey farm as the Somerset Hills Handicapped Riders Club and was one of the first centers of its kind in the United States. It has grown considerably from the original three horses and six riders. In 1994, with a grant from the Blanche and Irving Laurie Foundation, the organization was able to purchase a twelve acre farm in Oldwick, New Jersey. SHHRC initiated a capital campaign in 1996 and began construction of the new facility in 1999 and was completed in 2001. Shortly after, the name was changed to Somerset Hills Handicapped Riding Center. Initially, SHHRC offered one program, adaptive horsemanship. In the spring of 1995, the organization expanded its services to include equine assisted physical therapy. Today, clients have access to diversified equine programs, including: adaptive horsemanship, adaptive vaulting, an inclusive day camp. Equine assisted therapies: mental health services, physical therapy, occupational therapy and speech-language therapy, as well as school and vocational programs. In January 2012, the new name of Mane Stream was adopted to reflect our growth, the new services that we provide, and the people that we serve. The expansion of Mane Stream’s activities indicates that the organization is satisfying a need in the community. The significant support, both in financial contributions and volunteer commitment, Mane Stream enjoys indicates that the organization also has a high approval rating in our service area.